When was the first time you tasted Kombucha? I lived in Berkeley, California in the early to mid aughts and drank a lot of kombucha I purchased from the Berkeley Bowl supermarket. By the time we moved to New York I was no longer drinking this type of tea. Last year I lived in Virginia and a friend there gave me one of her many SCOBYs to start a batch. I tried twice and neither batch was palatable. I wasn't detered, though. When Northern Brewer reached out to me to use their EverBru Kombucha Starter Kit, I was happy to try again. What is Kombucha, and what is a SCOBY? Kombucha is fermented tea but it's not puerh. It is naturally lightly carbonated, sweet, sour, and tart. The etymology of kombucha according to Wikipedia is tea made from kombu where kombu is the Japanese word for a type of kelp which might have resembled the SCOBY culture. SCOBY is the acronym for symbiotic culture of bacteria and yeast. It is mat of bacteria and yeast that is combined with water, tea, and sugar to create the beverage, kombucha. If you let the ingredients ferment for too long, you will end up with vinegar. It is hard to find quality information about the science of kombucha, and I'm not particularly interested in the health benefits, but you might find this NPR reporting on kombucha health benefits interesting as well as this journal article A Review on Kombucha Tea—Microbiology, Composition, Fermentation, Beneficial Effects, Toxicity, and Tea Fungus. With my EverBru kit I successfully made three batches of kombucha. 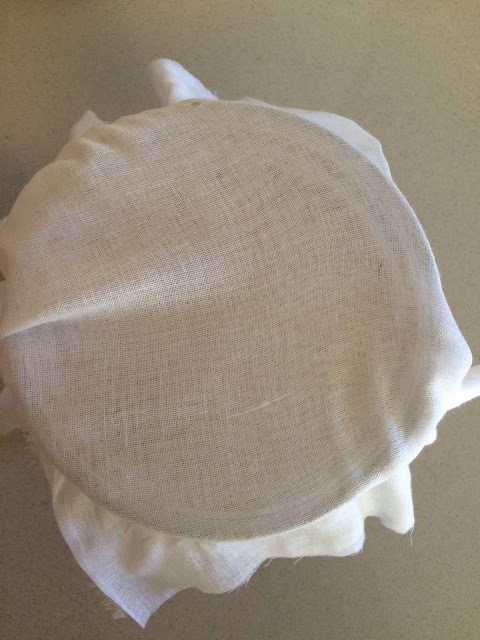 There was a failed first attempt because the first SCOBY I received did not grow and divide. 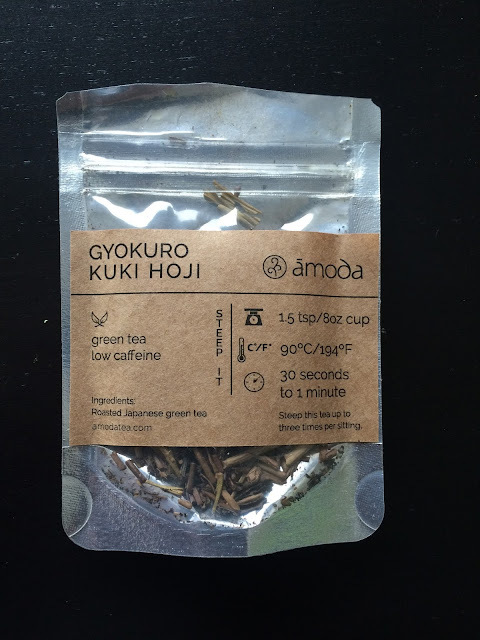 I used tea from my personal stash: first a Darjeeling, then an Assam which I flavored with cardamom, clove, and cinnamon, and most recently a gyokuro kuki hoji. The Darjeeling was our least favorite. The spiced Assam was better but I need to fine-tune to the ratio of spices. The kuki hoji kombucha received lots of thumbs-up. It is the sweetest of all three and the least vinegary. I supplemented the fermenters sugar with cane sugar from my pantry. The roasted stems kombucha is the most well-balanced with a nice acidity. I only left this batch to carbonate at room temperature for a few hours before refrigeration, but it has a gentle effervescence. The kit includes everything you need to make a batch of kombucha, and remember, the SOCBY will replicate itself so you will end up with two mats at the end of the first round. The Little Big Mouth Bubbler which is the large glass vessel where the fermentation happens. A mini siphon and tubing. An adhesive thermometer. Muslin to cover the bubbler. A tea ball. Sugar. Loose-leaf tea. The SCOBY. And even a rubber band. As I mentioned before I used my personal tea. I still haven't opened the loose-leaf tea provided. The instructions are well written and illustrated. To make your sweet tea you add 1-2 tablespoons of loose tea to 1 quart of boiled water. Steep the tea for 5-10 minutes, remove the tea ball, then add 1 cup of sugar. For the first two batches I used the provided Fermenter's Favorites Sugar. While the sweet tea is cooling, add 3 quarts of water to the bubbler, then the cooled tea, then the SCOBY and its liquid which should measure 1 quart. Cover the bubbler with a double layer of muslin and secure it with a rubber band. Don't forget to attach your thermometer to the bubbler now fermenter. The ambient temperature should be 72-80F. The spot I selected registered at approximately 75F and was not in direct sun. The fermentation period ranges from 7-10 days. I suggest tasting the brew at day 7 and every day until it reaches your ideal flavor. The SCOBY should start to double well before day 7. If it does not, you likely have a dead mat. My children enjoyed watching the siphoning of the brew. Siphoning works by gravity so elevate the bubbler/fermenter above the transfer vessel. Also, don't transfer the brew to your final storage vessel. I found that even if the siphon is not touching the bottom of the bubbler/fermenter (which is hard not to do if you are siphoning solo), you will transfer sediment and SCOBY bits. Transfer then strain into your bottle(s). Remember to set aside 1 quart of liquid to keep your SCOBY alive. I store my SCOBYs and their liquid in glass tupperware. 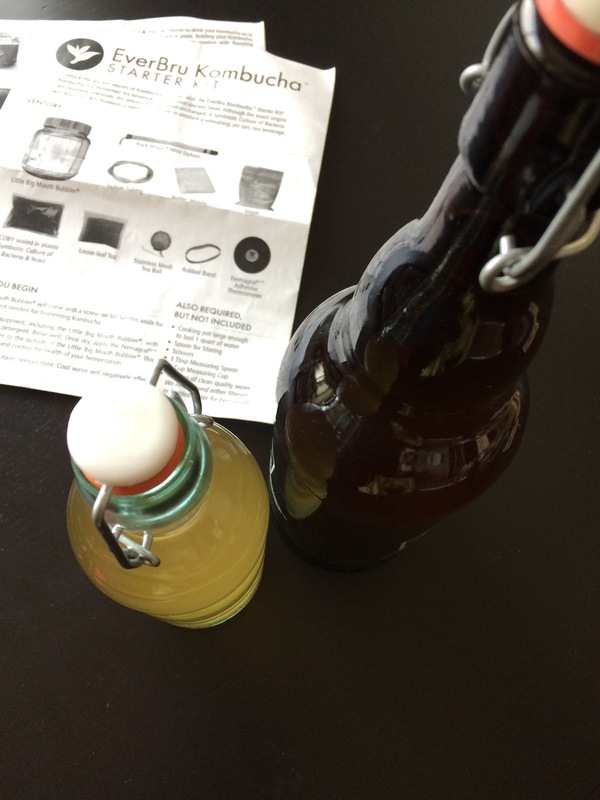 For the kombucha, I initially used two swing top bottles, one growler size, the other small. Right before my third batch, I bought a large clamp top jar. After transferring the kombucha, you can flavor it. To carbonate your brew, store at room temperature for 2-4 days. Keep an eye on your bottles. Over carbonation can result in explosions; dangerous especially when dealing with glass vessels! I erred on the side of 2 days then stored my kombucha in the fridge. Two adults can drink 5 quarts of kombucha in a week or so. There is one downside of kombucha making that I have found: the multiplying effect. Recall that the very first SCOBY I received did not grow so I was sent a new one. 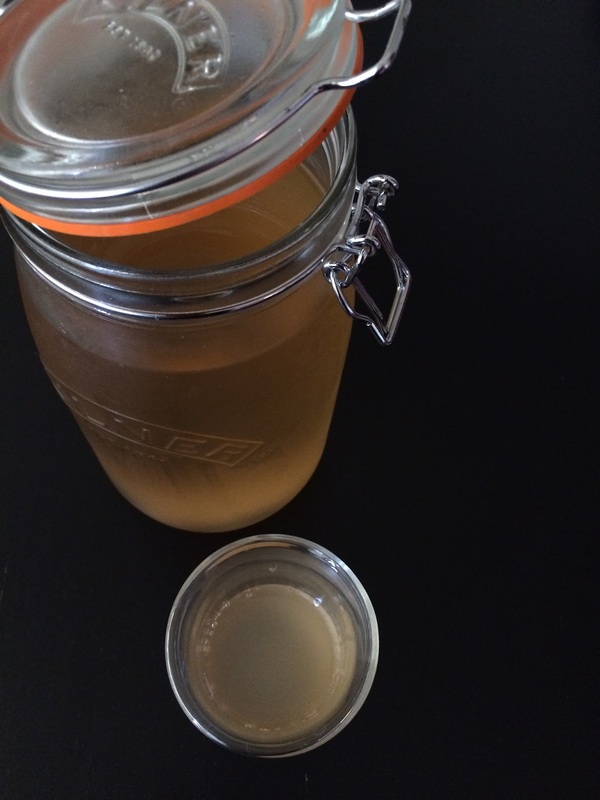 This starter SCOBY or "mother" simply grew, it did not reproduce. I used it make the first and second batches. It was during the second batch that it replicated. I saved the "mother" and used the replicated SCOBY to make the third batch. The replicated SCOBY replicated again so now I have three SCOBYs. I can really only brew one batch per week so I think I will need to figure out a long term solution. I am looking at making a SCOBY Hotel (yes, this is a thing) and/or dehydrating them. 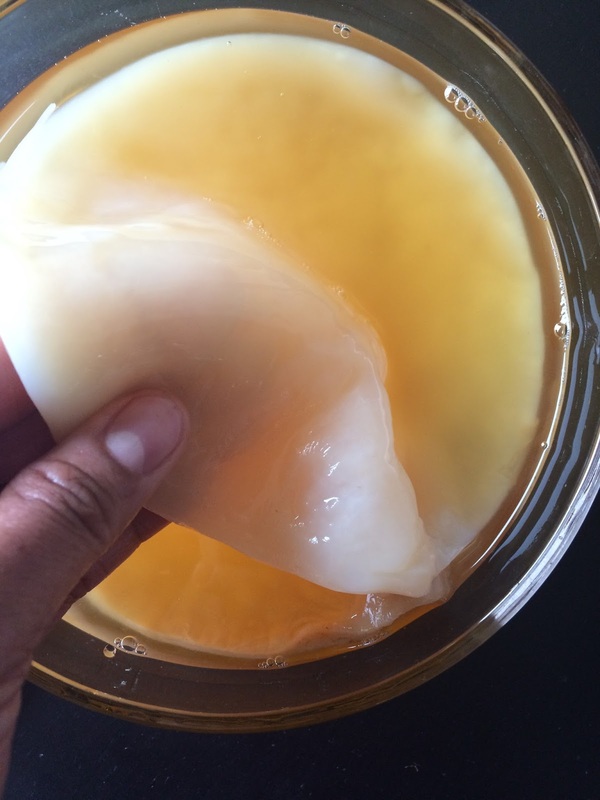 If you live in NYC and would like a healthy SCOBY, let me know. The EverBru Kombucha Kit was provided for review by Northern Brewer. This whole process sounds a lot like those DIY craft brews for beer! ;) Yeast is all kinds of amazing, it's so cool that you were able to have success with making your own kombucha. I am happy with my success, too! I'd definitely share some with you, Bonnie!